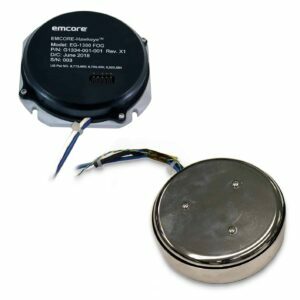 EMCORE is a pioneering developer of fiber optic technologies, providing high-quality rugged products for the aerospace and defense markets. Our state-of-the-art closed-loop Fiber Optic Gyroscope (FOG) sensors and systems, designed with SWaP (Size, Weight and Power)-conscious applications in mind, are ideal for navigation and platform stabilization for unmanned vehicle platforms, including UAVs (unmanned aerial vehicles), UGVs (unmanned ground vehicles) and AUVs/UUVs (unmanned underwater vehicles). The EG-120 FOG module is our smallest closed-loop FOG and the smallest, most affordable closed-loop FOG available on the market today. It features industry-leading SWaP characteristics and incorporates next-generation Field Programmable Gate Array (FPGA) electronics that deliver increased performance and reliability. The EG-200 is a tactical-grade FOG designed for high-accuracy navigation and low-noise line-of-sight stabilization applications. It features fully-integrated optics and Field Programmable Gate Array (FPGA) electronics, resulting in improved optical drift stability, higher linearity and greater environmental flexibility. 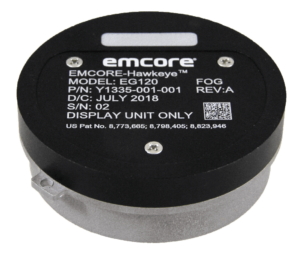 The EG-1300 is our lowest-noise FOG, ideal for precision navigation in GPS-denied environments – such as UUVs – as well as platform stabilization. Featuring advanced integrated optics and closed-loop FPGA design, it delivers higher accuracy, lower noise and greater efficiency in a low-SWaP package. The EG-1300 can be calibrated internally for better thermal effect. In addition to providing both digital and analog outputs, the unit features separation of the electronics from the FOG’s sensing coil assembly, allowing for the most flexible installation and integration capabilities. 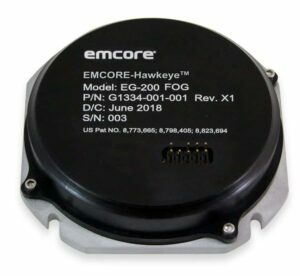 The EN-150 Precision Fiber Optic Inertial Measurement/Navigation Unit is our smallest Fiber Optic Gyro-based Inertial Measurement Unit (IMU) and the smallest closed-loop FOG IMU available today. 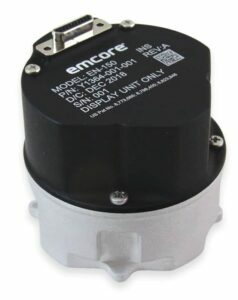 This high-accuracy unit is designed to operate as both an inertial measurement unit or navigator with up to two-times the performance of competing IMUs. 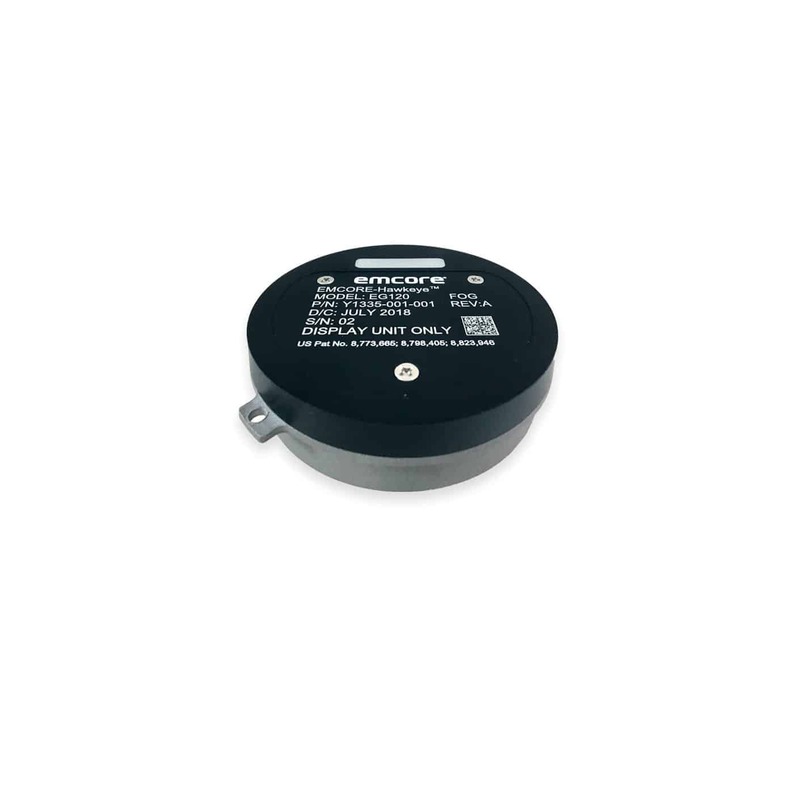 It is ideal for use as an inertial navigation system for UAVs, dismounted soldier, gun stabilization/targeting applications as well as navigation in GPS-denied environments. 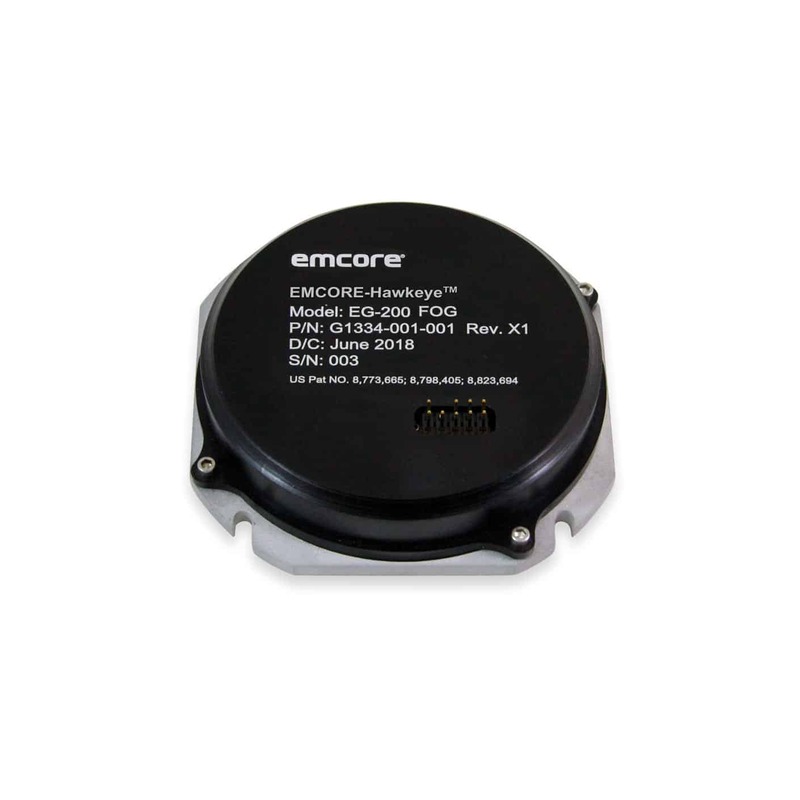 The EN-150 is a higher accuracy inertial system that is one-third the volume and weight of a legacy RLG-based IMU product with better performance. The system incorporates three precision FOGs and three precision MEMS accelerometers, as well as integrated optics and next-generation FPGA electronics for high-efficiency calibration and system modeling. With the option of full navigation capability, the EN-150 includes options for coning and sculling compensation, sophisticated Kalman filtering and external aiding e.g. via GPS. 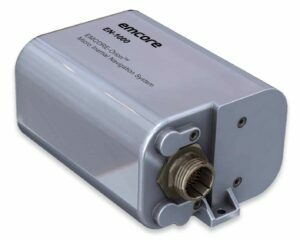 The EN-300 is a higher-accuracy Fiber Optic Gyro-based IMU that is a form, fit and function compatible with a legacy equivalent, but with better performance needed for GPS denied navigation, precise targeting and line-of-sight stabilization. Applications include in inertial navigation for UAVs, dismounted soldiers, civilian unmanned aviation, and oil and gas exploration. 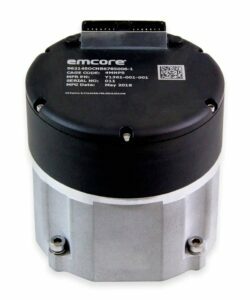 The low-noise, high-stability unit provides up to five-times better performance that competing system. It features internal signal processing that provides full stand-alone or aided navigation, with optional standard IMU delta velocity and delta theta outputs. With state-of-the-art FPGA electronics and sophisticated Kalman filtering, the unit is able to statically find North to less than one degree through gyro-compassing. The EMCORE-Orion™ EN-1000 is a high-precision Micro Inertial Navigation System (MINAV) designed for unmanned vehicle navigation in GPS-denied environments, as well as accurate inertial measurement. The state-of-the-art technology provides performance close to that of a traditional RLG INS with 1/3 of the Size, Weight and Power (SWaP) requirements. The low-noise, high-stability system incorporates our proprietary integrated electronics and optics devices, providing stand-alone aircraft grade navigator performance at 1/3 the size of competing systems. 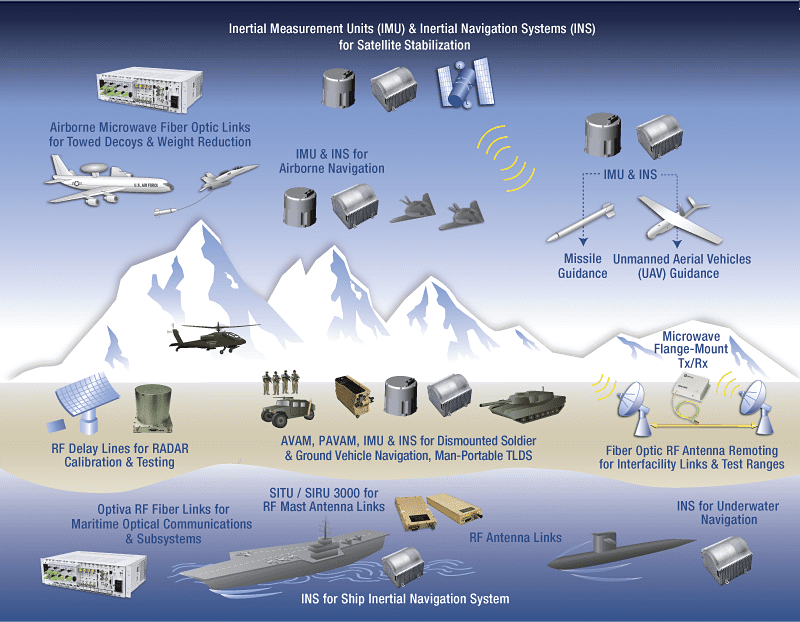 The unit provides options for internal or external GPS. In a GPS denied environment the EN-1000 MINAV will gyrocompass to approximately 1 milliradian. By submitting this form, you consent for your details to be sent to EMCORE Corporation and its authorized partners in order to respond to your inquiry. Depending on the location of the organization, your personal information may be transferred and processed outside of the European Economic Area.